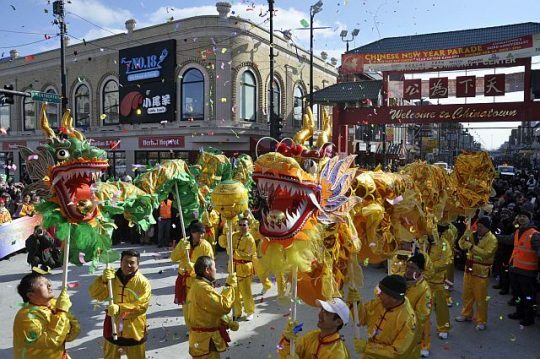 Arts venues from the Art Institute and Auditorium Theatre to the Chicago Cultural Center and Navy Pier are celebrating the Chinese Lunar New Year from mid January to Mid February, 2017. The Art Institute has a full Chinese menu of activities the last Saturday of January. If you at the Art Institute of Chicago Jan. 28, follow the exotic sounds you hear. 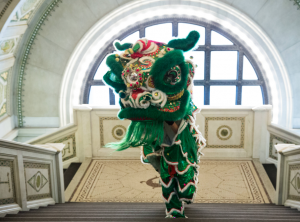 They will pull you into Gallery 101 at 10:30 a.m. and noon for Chinese Guzheng performances and to the Griffin Court in the Modern Wing at 11:30 a.m. for a Lion Dance. 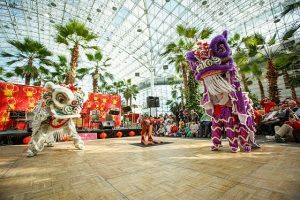 Then, it’s back to Griffin Court at 1 and 2 p.m. for the China National Peking Opera. In addition to the performances there is a Mandarin tour of the museum’s Asian collection at noon and calligraphy demonstrations in the Ryan Learning Center (near the Modern Wing entrance) from 1:30 through 4 p.m. But even before Jan. 28, the Art Institute is celebrating with drop-in Chinese New Year fun for kids in the Ryan Center, Jan. 17 through Feb. 11. 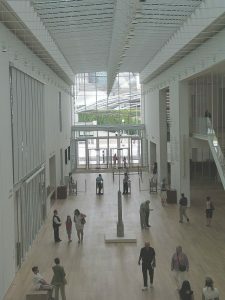 Best entrance to use for the celebration and Ryan Center is the Art Institute of Chicago’s Modern Wing at 159 E. Monroe St., Chicago, IL 60603. General admission fee and free to children age 13 and younger and free to Chicago teens 14-17. Visit AIC. 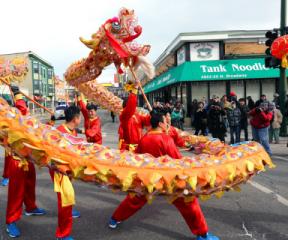 If all you have is the lunch hour to celebrate, go over to the Chicago Cultural Center Jan. 30 for Chinese dances, martial arts and music in the very impressive Preston Bradley Hall. Jackie Chan’s Long Yun Fung Fu Troupe will be performing from noon to 1 p.m (free). For more information visit DCAS The Chicago Cultural Center is across from Millennium Park at 78 E. Washington St., Chicago, IL 60602. To see the full Long Yun Kung Fu Troupe’s program get tickets to show at the Auditorium Theatre Feb. 4. Tickets start at $33. Show time is 7:30 p.m. The discount code is CFAS. The program blends dance and martial arts. The Auditorium Theatre is at 50 E Congress Pkwy, Chicago, IL 60605. Visit Auditorium and call (312) 341-2300.